Patriotic cover “Hon. 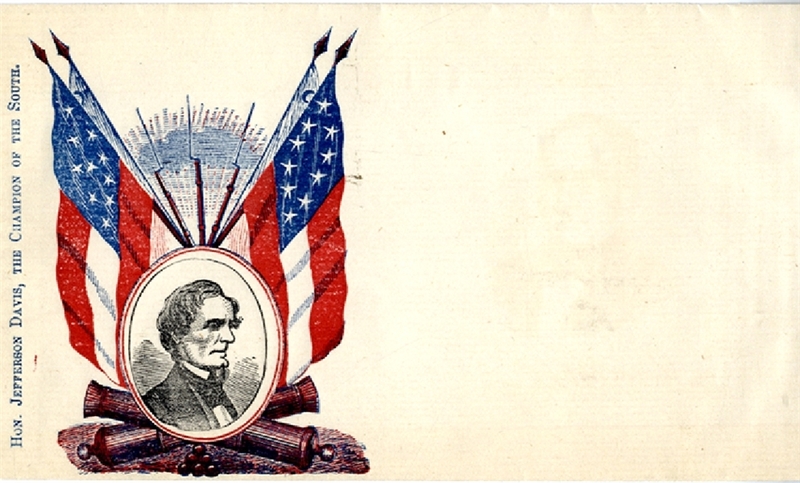 Jefferson Davis, The Champion of the South.” with image of Jeff Davis and crossed 1st National flags. Union printed. Fine condition.